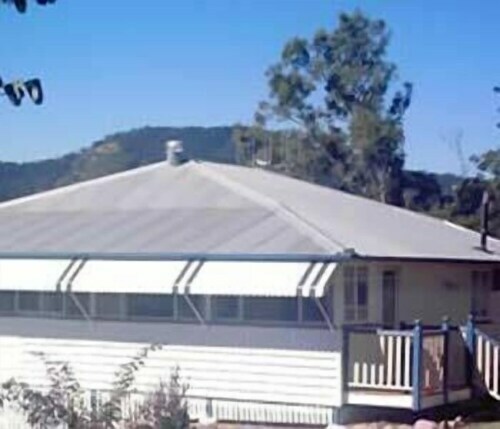 Situated in Gympie, this motel is 0.7 mi (1.1 km) from St. Patrick's Church and within 3 mi (5 km) of Woodworks Museum and Gympie Gold Mining and Historical Museum. Shiann Alpacas is 4.4 mi (7.1 km) away. Gympie Station is 27 minutes by foot. 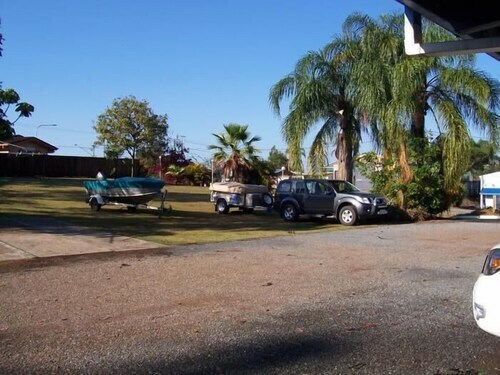 Situated in Gympie, this motel is 1 mi (1.6 km) from St. Patrick's Church and within 3 mi (5 km) of Woodworks Museum and Gympie Gold Mining and Historical Museum. Shiann Alpacas is 4.9 mi (7.8 km) away. Gympie Station is 29 minutes by foot. 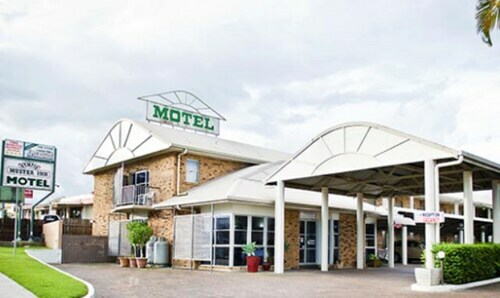 Situated in Gympie, this motel is 1.4 mi (2.3 km) from St. Patrick's Church and 1.4 mi (2.3 km) from Woodworks Museum. Gympie Gold Mining and Historical Museum and Shiann Alpacas are also within 6 mi (10 km). Situated in Gympie, this motel is 0.7 mi (1.1 km) from St. Patrick's Church and within 3 mi (5 km) of Woodworks Museum and Gympie Gold Mining and Historical Museum. Shiann Alpacas is 4.5 mi (7.3 km) away. Gympie Station is 27 minutes by foot. For a Sunshine Coast trip away from the busy tourist destinations, go Gympie! This little town packs a lot of diversity, from cafes and boutique shops to gardens and beaches. You might even strike gold! Gympie is only a couple of hours’ drive from Brisbane, so if you’re after a relaxing weekend getaway, why wait? Rush back to the Gold Rush with our Gympie hotels! Gympie got its start in 1867 when prospector James Nash found gold near the Mary River. At the time, poverty and unemployment were widespread in Queensland, and his discovery turned things around for the colony. For a while, the town was named ‘Nashville’ in his honour, before being renamed Gympie in 1868 after an Aboriginal word for a local tree. Gympie’s gold-diggin’ past is one of its proudest memories, and you can get a piece of the action by hiring some gold fossicking equipment from a tourist centre and searching the Mary River or Deep Creek. If you like gold but don’t want to get your hands dirty, head to the Gympie Mining and Historic Museum. With five hectares and 15 buildings (including a cafe!) to explore, you’ll learn all about the area’s gold mining history and how James Nash saved Queensland from going bankrupt. Maybe gold isn’t your thing. Luckily it’s not the only game going on in Gympie. Mary Street, Gympie’s main street, is full of attractive heritage-listed buildings and peaceful places to enjoy a meal or some coffee... or a little boutique shopping. There are colonial-style pubs in town if you feel like drinking with the locals. If you’re taking the family and you’re keen for a picnic, Gympie has plenty of wonderful green spaces with flower gardens, band rotundas and all the other trimmings. Venture a little further and you’ll come across Great Sandy National Park and Rainbow Beach, perfect spots for a day out. At the Great Sandy, you can walk the Cooloola Great Walk (probably not the whole thing, though – done properly it’s a five day trek) through bush and gaze at amazing ocean views. Rainbow Beach is a tiny town with a population of about 999 and an unforgettable beach with headland views you won’t want to miss. Tin Can Bay is another part of the region worth a visit, famous for its wildlife and water activities. Don’t waste this golden opportunity! Book your Gympie accommodation with us and see how it pans out! How Much is a Hotel Room in Gympie? 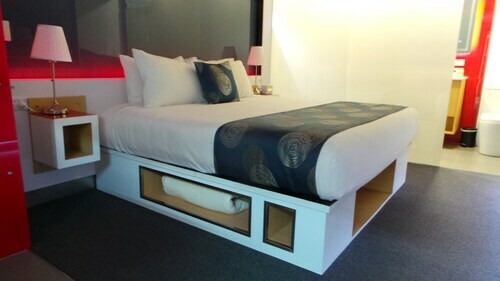 Hotels in Gympie start at AU$110 per night. Prices and availability subject to change. Additional terms may apply. Motel was situated just off the highway and there was some traffic noise overnight. The staff were very welcoming and pleasant and gave us some good advice on the local area. Top shelf. A wonderful quiet retreat for relaxation or study. Unbeatable atmosphere, scenery and value. Love that single blokes like myself can book a single rate and still secure the privacy of the entire space. A refreshing change.